Never give a revisionist encouragement should be written on posters on the walls of history departments. If the saying exists, it is being ignored by Sony and BMG. This is the company responsible for the recorded catalogue of Elvis Presley. ‘Elvis At Stax’ is the almost new box set that attempts to persuade us that in 1973, four years before his death, Elvis was a performer not only with his powers intact but an artist with a bold vision. If only, it suggests, the music had been presented properly. No doubt, RCA botched the release of Presley material in the 70s and for much of his career although when Elvis was at his peak in the 50s, early 60s and 1969 their sabotage had little effect on what was in those particular years an irresistible conqueror. Elvis changed and because of ill health and personal weaknesses declined as a performer. The music of the 70s cannot be ignored but to make impossible claims for an artist and sensitive soul losing his fight against real demons can only dismiss the real achievements in his career. It also sidesteps the tragedy and excuses the culpable. This does not mean that ‘Elvis At Stax’ is not essential listening. We are talking about Elvis and the real Elvis, not the trilby Scouse phoney who exists as unnecessary blight on ‘Treme’ the TV series about New Orleans and Katrina. Elvis was in pain in 1973 or, if you are being uncharitable, trouble. If that means we hear a musician in the outtakes who is far from strong and energetic, it also means we have the desolation of ‘Loving Arms’ and ‘There’s A Honky Tonk Angel’. Both records make a powerful statement; loss, failure, disillusionment and self-destruction may be universal but widespread existence does nothing to mitigate the mystery and consequence. It is doubtful that ‘Elvis At Stax’ would persuade anyone not previously convinced to become an Elvis fan. But we sometimes begin obsessions in the oddest places. My affection for country music only truly began after hearing Marty Robbins sing ‘I’m So Lonesome I Could Cry’. Now, I prefer country singers with a tougher edge. The oddest records sometimes make a connection. ‘It’s Midnight’ has a string arrangement that makes me cringe but there will be people who will be inspired by the no holds barred chorus, and that may be their beginning. In the 60s, older hip fans were dismayed by the sanitised Elvis in ‘GI Blues’. Younger listeners not yet old enough to worry about being hip or cool were seduced. ‘My Boy’ is terrible tosh but no one can deny the power of the vocal and the ambition of the performer. It also hints at his unrivalled ability to combine opposites. Elvis is prepared to fake his efforts on some of the songs. This is particularly evident on the unsuccessful first sessions in July and even in December when he recorded a lacklustre vocal for what could have been a great record, ‘If You Talk In Your Sleep’. But there are also examples of effort that, in a performer weakened by ill health, almost constitutes heroism. It is there in the chorus of ‘My Boy’ but also exists in the gospel rocker, ‘I Got A Feeling In My Body’, and the urgent ‘Promised Land’. These records confirm that Elvis is not at his best but they only merit criticism if we insist on comparing the performances to when Elvis was young and supreme. Unusually, the box set begins with the outtakes, which should make it clear to anyone that the package is aimed at fans and collectors. The charming Elvis that existed in 1970 in the documentary ‘That’s The Way It Is’ has disappeared. Most of the time, he is clearly affected by drugs. Revealingly, he is more at ease singing than talking. If on record, Elvis sounds damaged, in conversation, he sounds a wreck. I am not a fan of Felton Jarvis the producer. He was not tough enough with either RCA or Elvis and had flawed taste. This should not though deflect from the work that was done to produce a finished result. In the circumstances, an indulged depressive who had physically weakened, Jarvis could have easily abandoned the project. Jarvis stayed until the tragic end and that is worth something even if Jarvis was part of the tragedy. though interesting, is a failure when compared to Elvis at his best. We should be wary, though, of making the comparison. Music does not have to be the best to be valid. 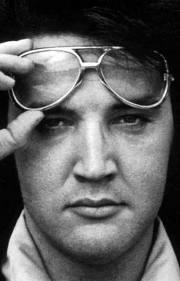 In the December sessions, Elvis was noticeably more focussed which presumably means a hell of a lot less irritating. The liner notes are accurate; Elvis was looking to broaden his palette and reach. ‘Love Song Of The Year’ is especially resistible but when we hear the light girl chorus we do have a sense of an artist determined to add music not previously attempted. This also happens with the simple country song ‘You Asked Me To’ with its roots in the American South West and the much more complicated ‘Thinking About You’ that features a weird bass line. And yet, for all the fraying in his personality and the unquenched curiosity, there is something that remains firm in his identity. The 18 songs that were recorded in December link to the 19 songs that emerged from the ‘Elvis Is Back’ sessions in 1960. Both sets mix American roots music and pop. The difference is that his voice is not as strong and that the pop elements have changed because of the times. Also, his affection for the blues appears to have faded. Why this happened is difficult to know. We know he lost his ability to perform rock and roll because he admitted it. ‘I can’t do that stuff anymore. I don’t know why.’ The same thing may have happened with the blues or maybe he despaired at the response to his live versions of ‘Reconsider Baby’. The pop elements do weaken the December sessions. ‘Your Love’s Been Long Time Coming’ and ‘Love Song Of The Year’ are both overblown and redundant. Neither suggests the loss and bitter experience of ‘Loving Arms’. But the first 12 songs he recorded in December, if released on an album in that sequence, would have formed an album that, although flawed, would have been welcomed by fans and critics. Tracks 13 and 14, ‘Talk About The Good Times’ and ‘She Wears My Ring’, could have followed as a decent single. Would that have altered the fate of Elvis? We have to doubt. 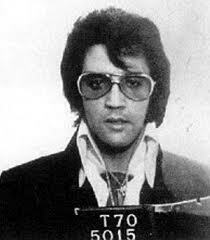 Elvis went to his grave a great man that changed history but in 1973 he was on his way out. He performed regularly and stubbornly for another 4 years before his heart attack. Fortunately, that odd resistance and the uneven but still essential music contained in this box set means even the critical can remain loyal. There is so much about Elvis and his music and Howard has provided a further insight and analysis which informs and provokes. I would love to get this collection. Even though he was “on the way out of the building” he exuded greatness to the end.